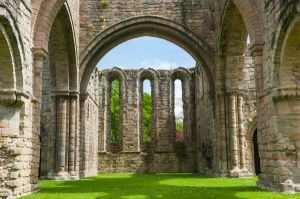 The extensive remains of the 12th-century Cistercian abbey of Buildwas stand in a water meadow beside the River Severn. 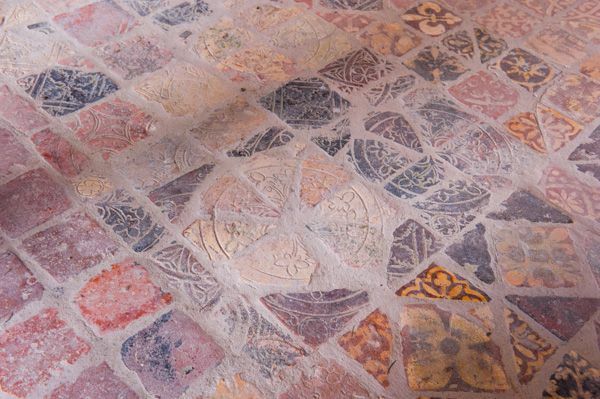 The remains are unusually complete and include the vaulted chapter house with medieval tile flooring. The church is almost unaltered from its 12th-century foundation. 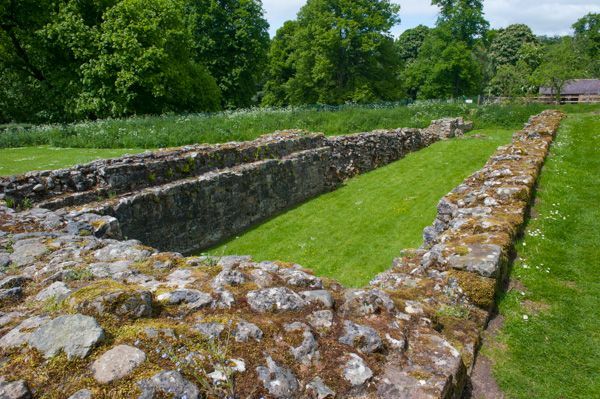 Buildwas was founded in 1135 as a Savignac monastery by Roger de Clinton, Bishop of Coventry and Lichfield. The Savignac order was merged with the Cistercians in 1147 and the abbey was refounded as the abbey of St Mary and St Chad. 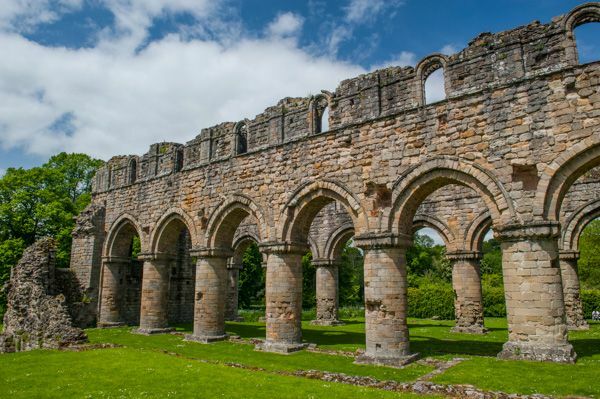 The earliest buildings date to about 1155. 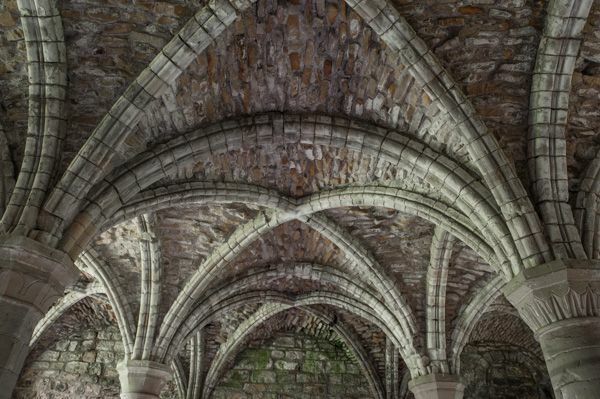 These include the abbey church, chapter house, and cloisters. 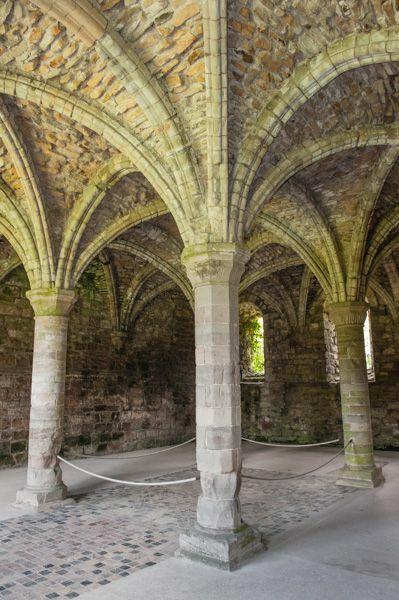 The infirmary and abbot's lodging were added in the 1220s, and a parlour wing and chapel in the following century. 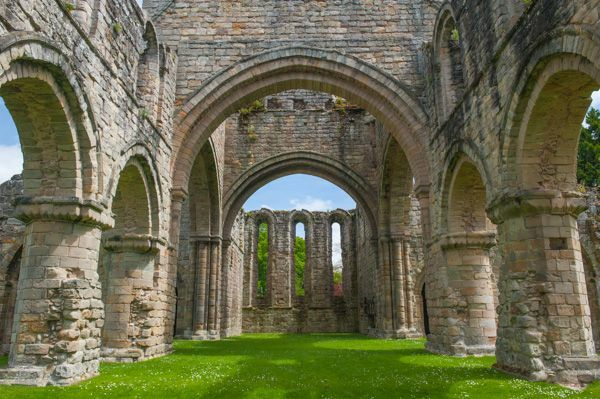 The abbey was never very large or wealthy and supported a population of only 6-12 monks. 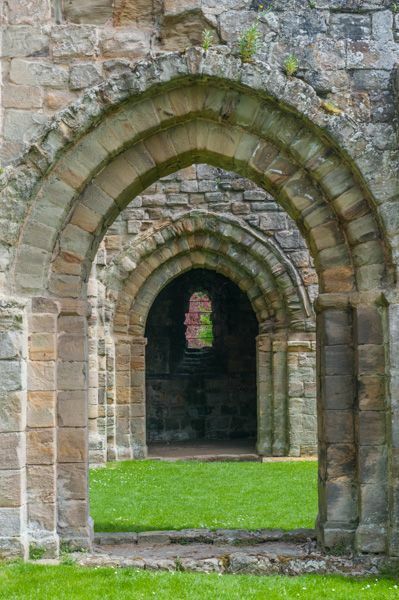 Unlike Cistercian abbeys like Fountains and Rievaulx, which became rich from sheep farming, the monks at Buildwas survived with the income from tolls charged to travellers using their bridge across the Severn. All was not a peaceful rural idyll, however, as evidenced by the events of 1342, when the abbot was murdered, and 8 years later, when the abbot and monks were imprisoned by Welsh border raiders. The abbey further suffered a raid from the Welsh under Owain Glyndwr in 1406. Buildwas was dissolved in 1536, and the property was granted to Lord Grey of Powys. The abbot's lodging and the infirmary were converted into a house. 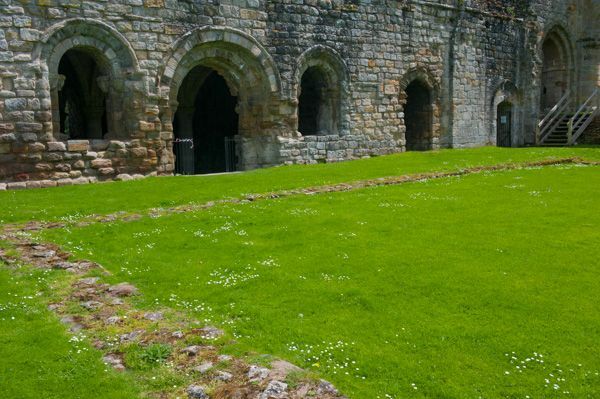 The abbey buildings are constructed primarily of sandstone rubble with ashlar dressing. 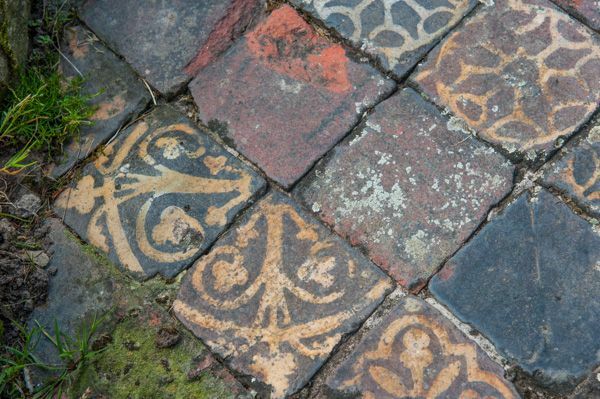 The remains include a fine collection of medieval wall tiles. Worth noting are the huge (14-foot diameter) pillars in the nave. A pleasant woodland walk leads along the riverbank from the abbey. Location: On the A4169, 2 miles west of Ironbridge. Parking onsite. Seasonal opening only.